Dark, atmospheric games don’t necessarily have to be horrors, so if that’s what you’re looking for, check out these two lists. In this roundup, we list the games that offer beautiful dark designs, and amazing, engrossing atmosphere. They’re horrors, runners, puzzles, adventures, arcade and reflex-based games. We love this style because the smooth dark palette is easy on the eyes, and if you spend a lot of time working with all kinds of displays, you may want a game that would be gentle to your sight. Vector graphics are frequently used in these games, creating a stylish, chic look when the game looks as if it couldn’t look any better. Quite often, the minimalist games look better without pursuing the realism that can clog the resources of any device. 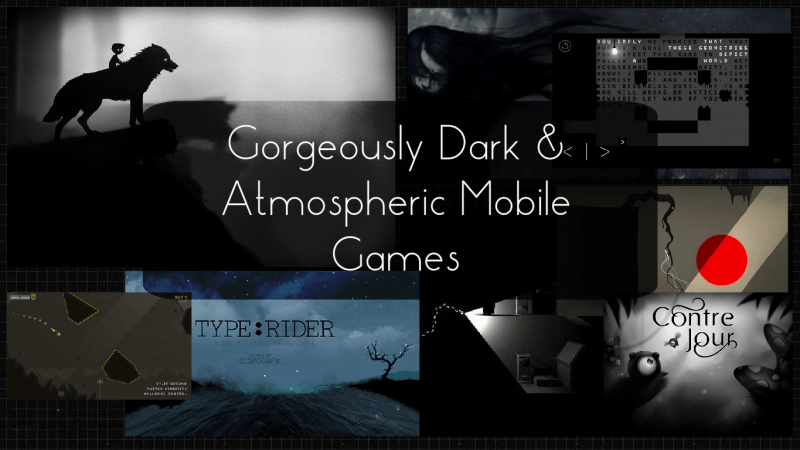 Without further ado, here is our roundup of the dark, atmospheric games on mobile we think you should be playing. 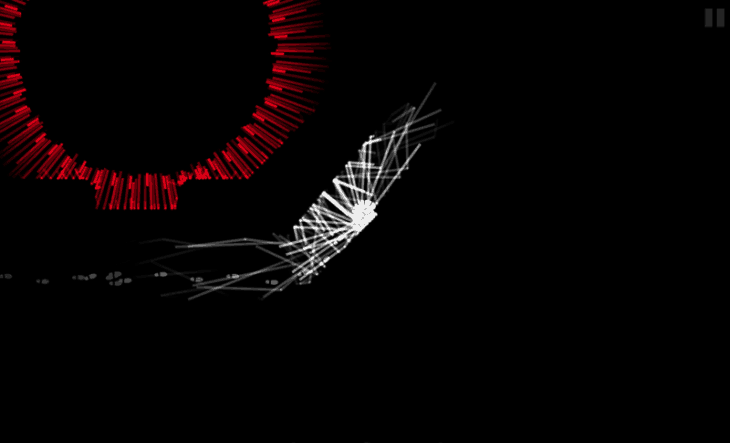 One of the best games this year, the minimalist Dark Echo (review) is incredibly engrossing. It will never seize to amaze me how a limited set of colors and barely any objects on screen can create a beautiful, creepy and haunting experience, and this is exactly what Dark Echo does. Your vision is limited to the sound waves from your footsteps, which resonate off the walls and inhabitants of the pitch-black corridors. Tread lightly, your life depends on it. A haunting, nightmare-inducing game, Limbo is the landmark in the niche. 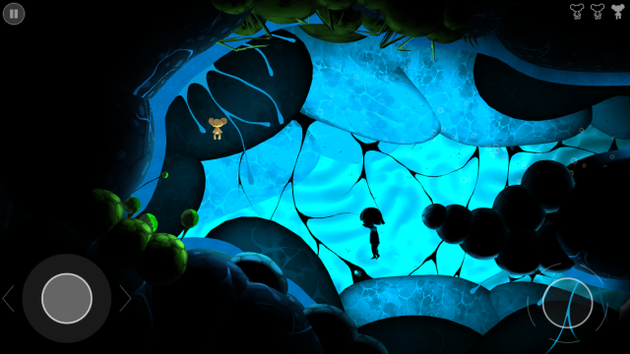 Lead a little boy out of the limbo state he got stuck in, but will you be fast and smart enough to help him escape the monsters of the subconscious? Childhood is where the nightmares are born, so playing this creepy game is a must if you want the top of the crop games on your mobile device. 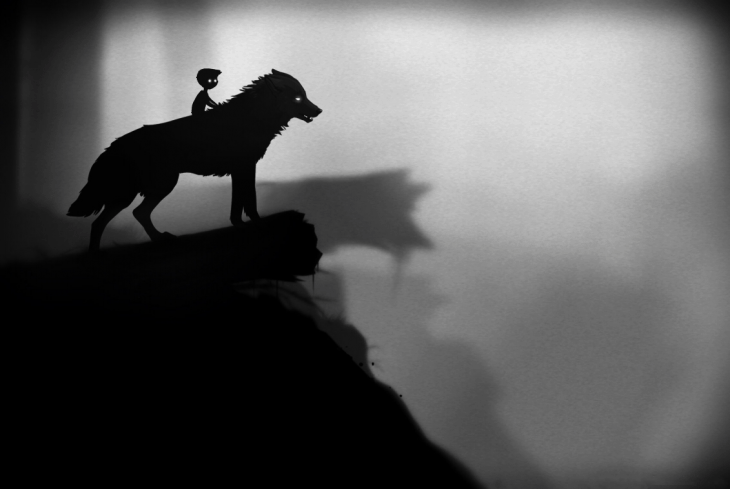 Highly acclaimed by critics and gamers, Limbo mesmerizes, and visually it’s a work of art. Care for a little zombie scare? Dim Light (review) is probably the best-looking zombie game on mobile, and pretty scary, too, but here is why. Instead of using too much glitter and shine in depicting the undead as in the Unkilled, Dim Light makes them barely distinguishable figures absorbed by the darkness. Your protagonist, again you don’t see the person as in Dark Echo, but the two footsteps, needs to creep past the dormant zombies and mutants through the corridors of an abandoned hospital. He only has one flashlight, so his vision is very limited. A gorgeous, atmospheric horror, Dim Light is both minimalist and stylish in its gloomy looks. 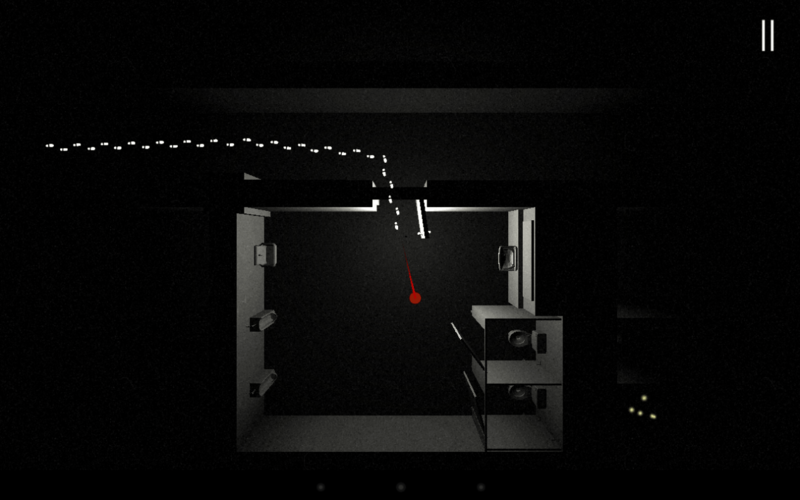 An unnerving, hard, mind-blowing puzzler Sometimes You Die (review) has you controlling a black box on its way through a set of levels. Death is used as a means of getting to the exit because every time you kill the box, it re-spawns, but its dead body remains where it died. Novel mechanics, smart challenges and dark, deeply disturbing design make this game one of the best puzzles and artsy games on mobile. You should try it. If endless runners are your thing, Fotonica (review) is a must-have on your list. Instead of the vibrant and exploding, acid colors of Rayman, Fotonica stands out with its crisp vector graphics and minimalist, posh looks. You control a human avatar with boosted physical strength, so it can gain neck-breaking speeds necessary to survive in the worlds full of obstacles, abysmal holes and endless corridors. There are plenty of locations to test your running and jumping skills, each with its unique layout and looks, and the music is absolutely gorgeous. 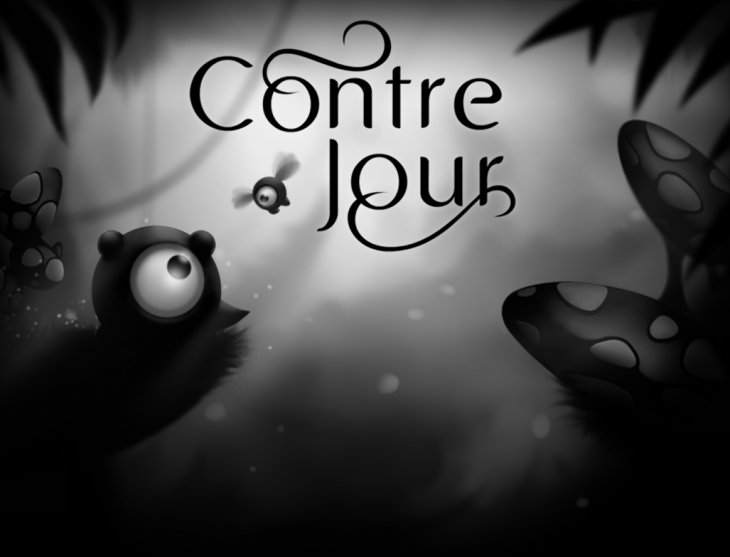 Think of Contre Jour as of Cut the Rope for adults. You have to collect the blue orbs and lights by using all sorts of mechanisms and by shaping the environment around you, elevating or diminishing the curves and hills. 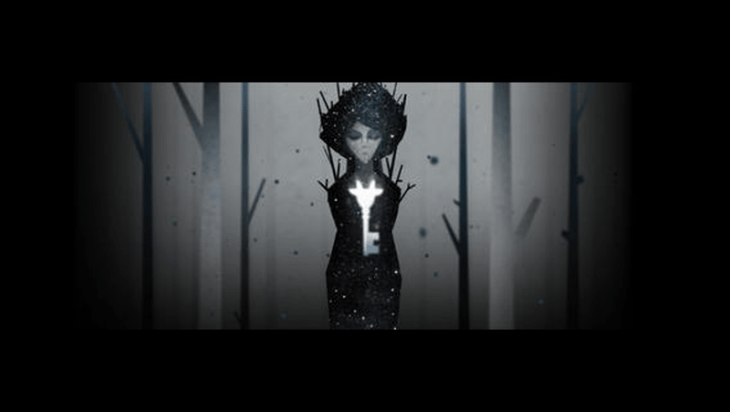 The dark, atmospheric looks of the game make it a very eye-pleasing time killer to play when you need a smart and fun puzzler. 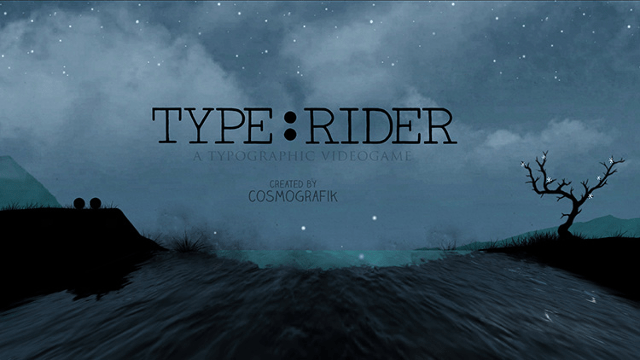 If you like games with a touch of culture and an educational purpose, Type: Rider should be on your list. A stylish arcade puzzler, the game uses some of the world’s finest art to accompany the two dots on their way through the chapters of the typographic history. Coming from a European TV channel, the game takes you on a beautiful journey from the prehistoric times of the rock paintings to the contemporary pixel styles. You get to solve the riddles based on some of the most popular fonts, accompanied by an atmospheric music and gorgeous designs. It’s definitely a different kind of game, the one with a brain and a heart. If you think an eyeball on the icon looks like it could be another Pou game, you are wrong. Freeze 2 Brothers (review) is one of the smartest and emotional games on mobile this year. 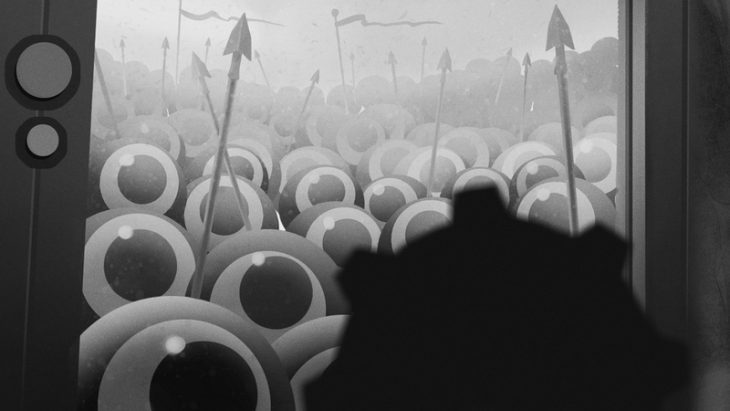 This time, there are two eye balls, the prisoners on an alien planet, the two brothers. They need to work together to get our from a series of prison cells, by using the intuitive controls, your logic, physics and spatial skills. What came as a surprise, however, is the brilliantly atmospheric soundtrack and the fascinating, dark and haunting visuals that take the puzzler to the pantheon of the mobile games, alongside the Monument Valley. 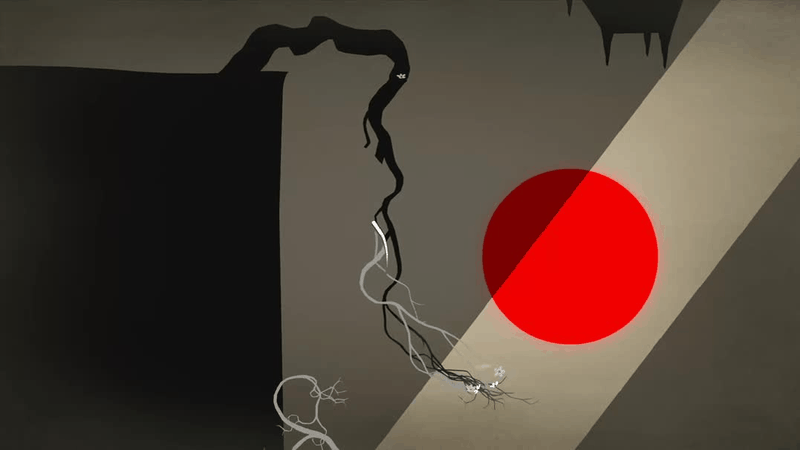 Prune (review) sees you pruning trees, a somewhat boring premise, unless you are a gardener. 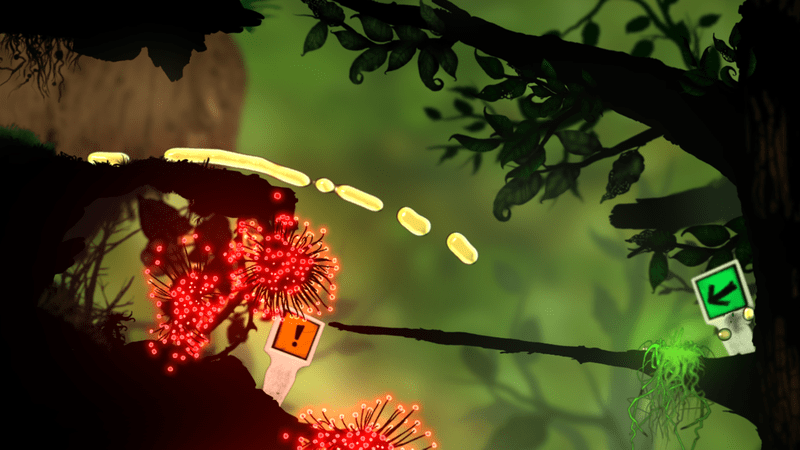 However, the game captivates from the very first level with its subtle, emotional soundtrack and stylish looks. When you think you have the game figured out, it turns out there is a back story to it, and you struggle to guess if it’s the end of the world you’re trying to prevent, or a distant planet to terraform. Either way, the challenge, the design and the philosophy of Prune are fantastic. 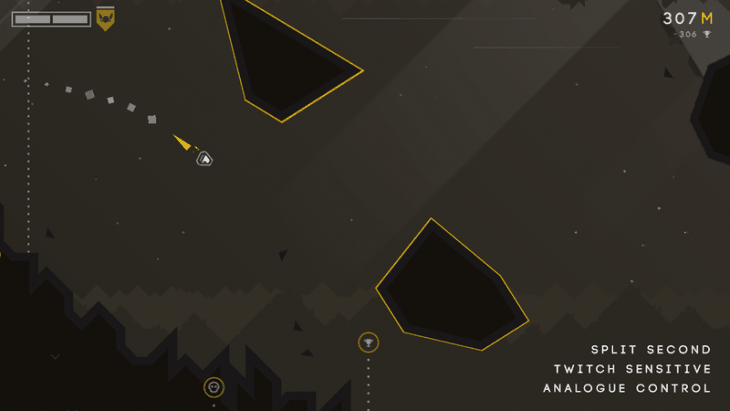 ALONE is a long-time classic that has you navigating caves, trying to survive the collapsing debris of stones, rocks and comets. It’s a beautiful, handcrafted delight, atmospheric, stressful and adrenaline-inducing. At its core, it’s a procedural runner, but its visuals make it one of the best sci-fi games with brilliant aesthetic and a terrific soundtrack. Sometimes, the only way to fight the nightmares and the ghosts of the past is to flee. So, you take control of a lady on the run from the memories of her past haunting her. It’s a visually dazzling runner, with monsters, traps and beautiful environments, the dimensions you can switch and deploy simple, yet tricky resources that will keep the monsters away for a while. 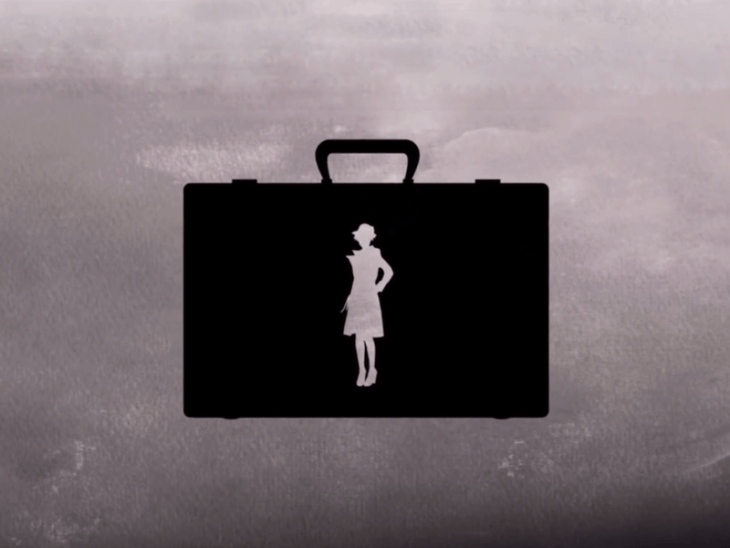 Get the lady to safety and discover if there is a clue to solve the story’s mystery. If you ever thought the 50s-60s of the past century were the golden age of the fashion, and Mad Men is your favorite TV show, or at least its first four seasons, you must check out Framed (review). A clever spy game sees you rearranging the pieces of the page, as if in a comic book, to let the protagonists escape the surveillance or the guards to get to safety and pass the mysterious suitcase, probably stuffed by some Soviet intel. A stylish adventure, Framed uses the vector graphics to portray its characters, and they look sharp against the colorful backgrounds. 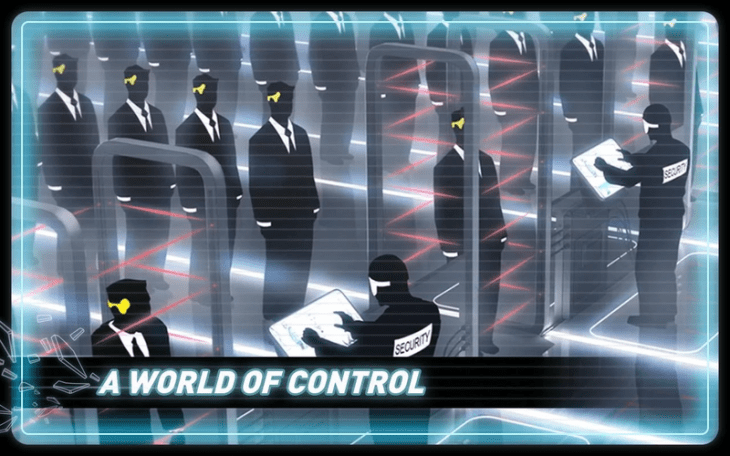 Another endless runner on the list, Vector sees you helping a young man who escaped a totalitarian system that provided him with a job, housing and comfort, but in return, demanded an absolute obedience. No longer finding himself capable of being a zombie, the protagonist jumps through the window to show off some of the most impressive parkour skills. You can’t keep the free spirit in a concrete office cell. Unleash that swiping and tapping rage to save the runner from the evil big brother. A new, enhanced + edition of Puddle is a partly educational, physics-based game loaded with smart puzzles and amazing graphics. 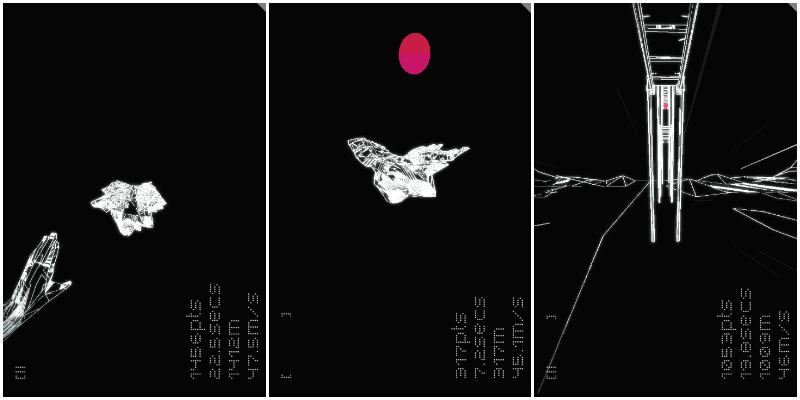 Your aim is to guide a puddle of liquid through the series of challenges by tilting your device. The game takes into account the physical qualities of the objects and environments on your way – the friction, temperature, gravity, as well as the qualities of the liquid itself. Sometimes it’s water, but other times it’s oil, lava or some nitroglycerin. Your task is to conserve as much of the puddle as you can by avoiding the traps, predators and natural enemies. It’s a must-have game for the fans of the artsy brain teasers. An underrated indie gem, Volt (review) appeals to those who have exhausted their Badland addiction, or Cut the Rope folly. Volt is a small battery on a battery recycling factory. The trick is Volt has become self-aware, and does not feel like getting recycled. So, you help it get free from the confines of the deadly enterprise by leading it through a series of the factory’s locations. 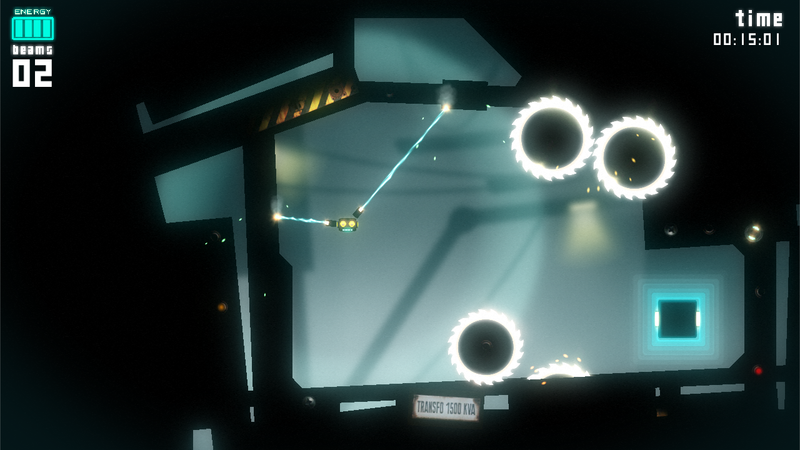 Engage gizmo, use Volt’s remaining charge to open the doors and avoid the traps. Be careful – after all, Volt’s charge is low, but his determination and will to survive is high. One of the best endless runners on mobile, Unpossible (review) is a frantic, reflex-based rush along a round tube stuffed with spikes, knives and what not. 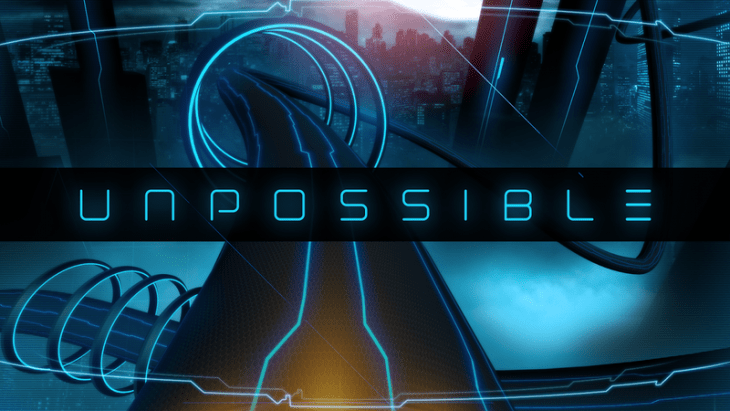 Unpossible gave birth to a multitude of copycats on mobile platforms, but none of them has managed to convey the speed, the fun and the visual supremacy of the original. If Tron and sci-fi style is your cup of tea, Unpossible offers tons of joy. A gorgeous Susan Sarandon voice over is in this game for a reason – Nightmare Malaria (review) was initially aimed to promote awareness about the disease, and maybe collect some funds to help fight it, especially in the most affected countries. It’s similar to Limbo, and sees you trying to rescue a little girl who is sick with malaria, and lost in her disease-induced nightmares, where she needs to escape all sorts of monsters, and save the teddy bears. Don’t let the childish verbiage fool you – it’s a creepy experience. The game is visually gorgeous, dark and haunting. It’s also free – try it. 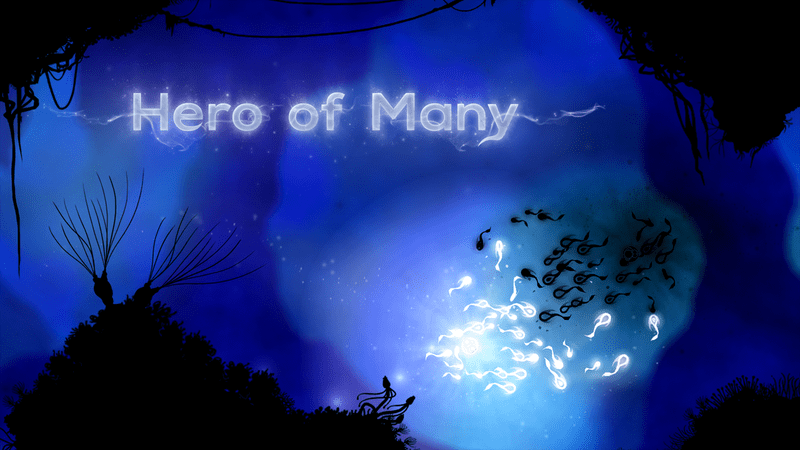 Hero Of Many is not recommended for those prone to claustrophobia – the action takes place deep under water. 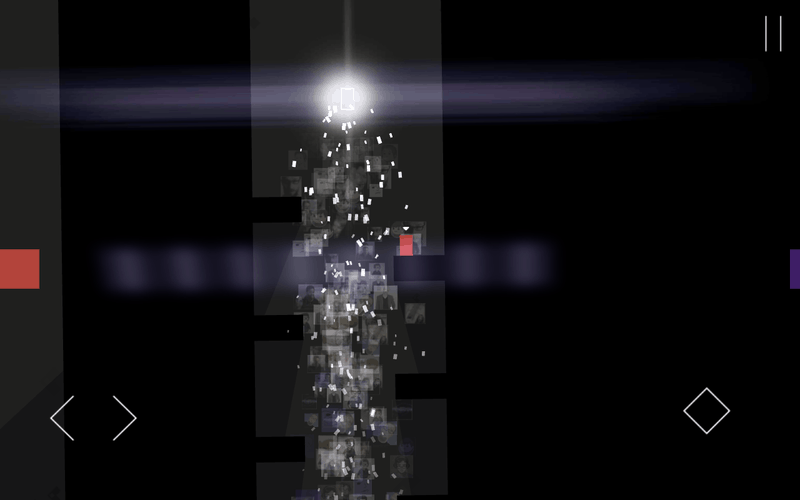 You play as a particle of light, assembling the tiny glowing fish around you and leading them to safety. The threat comes from many evil creature that feed on the likes of you – they are dark in nature, and the sounds they make could as well come from the hungry undead dwellers of the hell. It’s wonderfully atmospheric, immersive and visually impressive. It’s also hard, so if quality arcades are your cup of tea, check out this classic. Depending on on which page of the Room you are, we encourage you to check out either of the three games in the franchise. It’s the paragon in the atmospheric and engrossing puzzles, and once you get into playing the game, don’t be surprised if the real objects in your environment start looking and moving as if you were inside the Room. It has that creepy capability of getting under your skin. 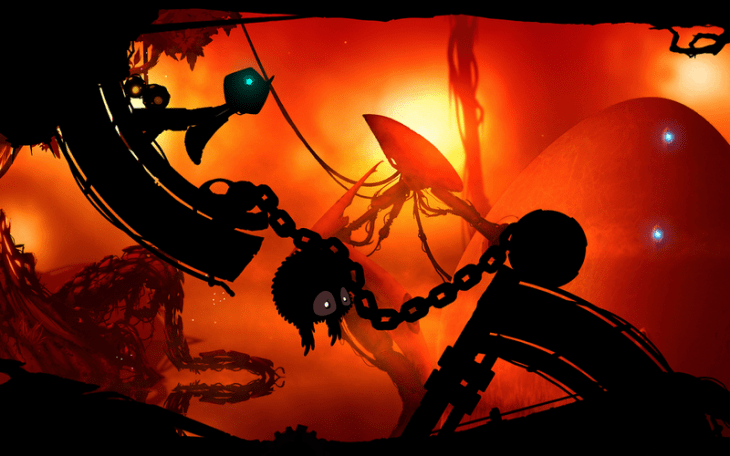 Many fine and eloquent words have been said about Badland (review), the mobile must-have for any device, kept for the rainy day. It’s best played with a friend, when you share the same device to get your little fluffy mutant to safety across the beautiful, yet deadly forest. It’s an old game, but it’s constantly updated with new environments and traps, so your little awkward flying pet with big, sad eyes won’t be resting. Get those scissors sharp! 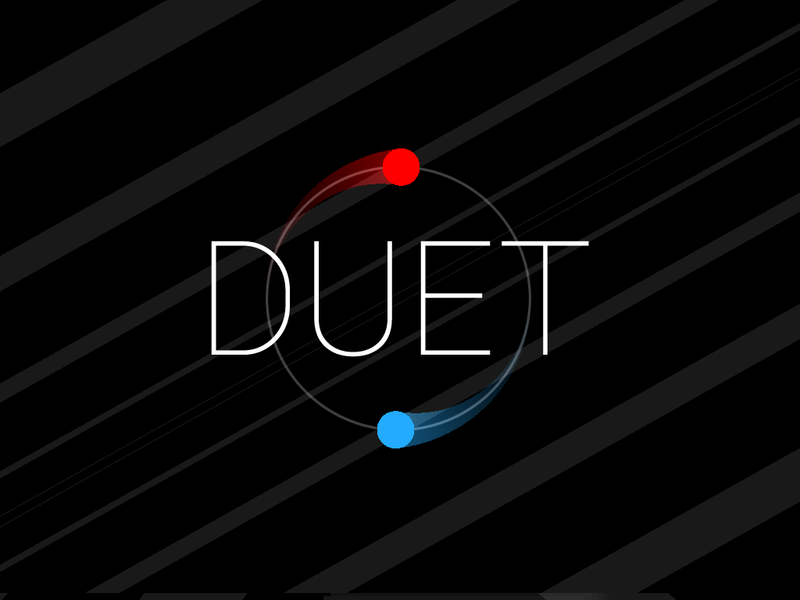 Hands-down the best reflex-based game on mobile, Duet (review) does not just task you with avoiding the white shapes, which is aggravatingly hard in itself because you control two colorful dots that rotate around the same orbit. 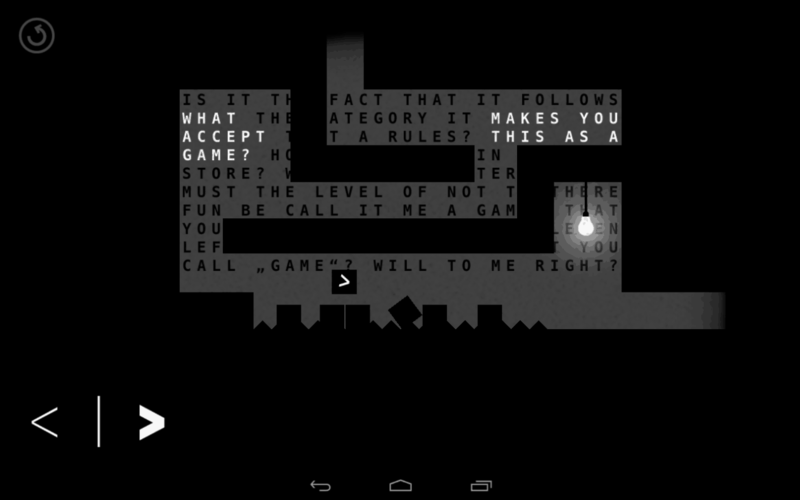 The game also comes a crisp, brilliant aesthetic, and a deep, philosophical meaning. You’d think reflex-based games are pretty thoughtless, but Duet challenges that by offering one of the most haunting gaming experiences on mobile. The hypnotizing soundtrack is one of the best on mobile. Perhaps, Thomas Was Alone does not need an introduction – it’s one of those game that come unique, one of the kind, and stay that way because the others dare not copycat the original, it’s so tricky, deep and complex. An emotional journey of a curious rectangle Thomas could be just a platformer, but the developer gave it a meaning, a purpose, a philosophy and a heart. Wonderful narration, an engaging atmosphere and unique visual style make it a masterpiece. The Norse folklore is one of the weirdest on this planet, that’s why so many movies and games are based on it. Year Walk is one of them, and it sees you trying to figure out what the future brings by trying to blur the line between the dimensions of reality and the supernatural. It’s a first-person adventure with a unique visual style the connoisseurs will appreciate. 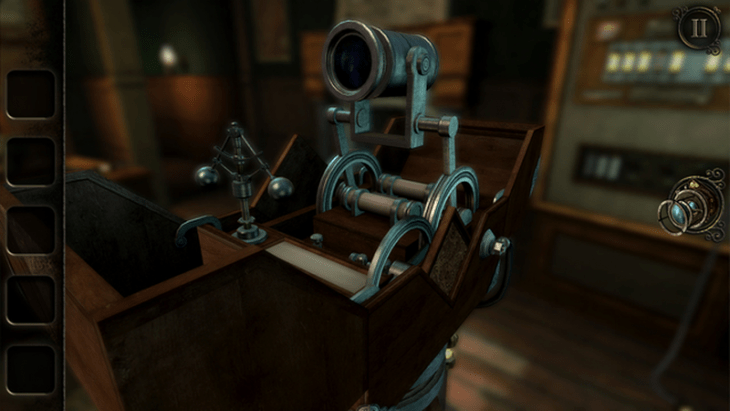 Cryptic puzzles, audiovisual-based challenges and ancient mysteries aim to make you question what’s real and what isn’t. It’s an original, daring and elegant work of art, eerie and memorable. Any Radiohead fans around here? PolyFauna is an experimental app that blends the music and otherworldly environments to help those seeking to escape the mundane reality, relax and unwind in the digital vortex of the surreal. Time and time again I hear the people playing say “If only I could really go there!” There is really no objective, no high score or purpose to why you should be playing it. 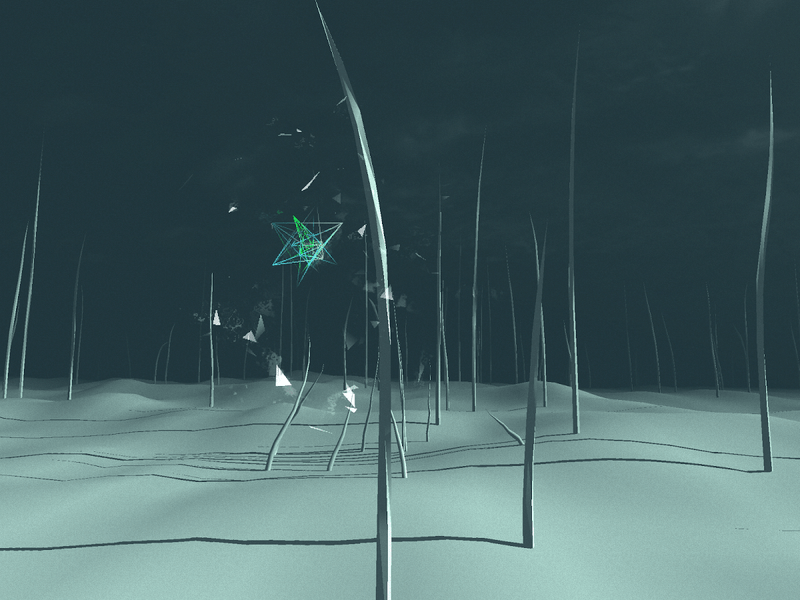 Polyfauna is yet another way to experience art, and it’s fantastic. Escapists, this way. 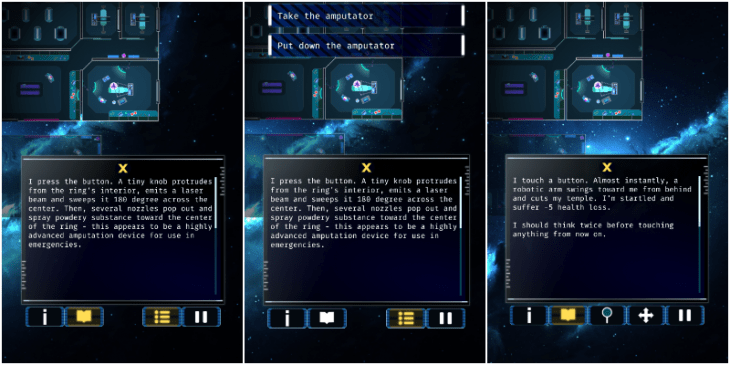 Hyper Rift (review) is a text-based sci-fi adventure, heavily loaded with mind-bending puzzles and a doom-spelling horror story you will want to uncover till the end. It’s decently branched out, with multiple endings, atmospheric soundtrack and beautiful, dark design perfectly conveying the loneliness and horror of being stranded on a space station with no memory and plenty of creepy things laying and running around. Find the other survivors and try to restore your memories to find out what happened, where you’re going and if there is a purpose to what happened to you. That’s it for this time; if you have more suggestions that would fit this list, please, don’t hesitate to share your ideas with us in the comments below!